Cosatto Noodle Supa Highchair is a pattern-powered highchair that features 6 multi-heights, 3 multi-reclines and an adjustable footrest. Suitable from 6 months to approximately 3 years (15kg), this highchair is your foodie-friend. Why should I choose the Cosatto Noodle Supa Highchair? 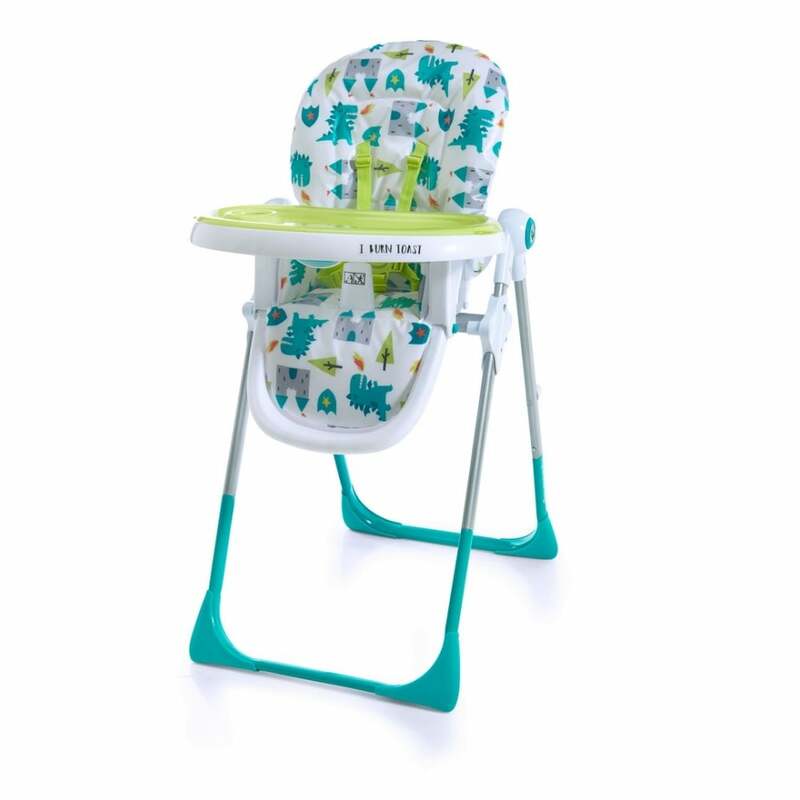 The Cosatto Noodle Supa Highchair is your feeding companion when it comes to meal time. With a 6 height position adjustable seat, you can choose from many heights to sit baby at. Whether it's table height or higher, this highchair means less bending for you! The adjustable calf support on this Cosatto Highchair means that baby will always be comfy. Plus, the 3-position seat recline means that your little one can enjoy their after-dinner chilling time in this seat. What's more, the 2-part tray is single-hand removable and washable for your convenience. Plus, it has a cup holder to keep baby's drink upright! This tray is also removable, so your munchkin can join you up the adults table for some extra family bonding during meal time. If your little one decides to throw their baked beans all down their front, then there's no need to worry. The Cosatto Noodle Supa Highchair includes a removable squidgy seat pad for completely easy cleaning. Plus the pop-off trays help for handy washing! For your little monster's safety, the 5-point safety harness keeps them comfortably strapped in for any temper tantrums during feeding time. As well as this the pommel prevents seat slip-downs in any event. Last but not least, the easy-to-use compact fold of this highchair by Cosatto gives you a free-standing folded position. It also offers handy tray storage. This is fantastic for those tight storage spaces, so you can just slot it away - hooray! Your little one will become mesmerised by the funky patterns of the Cosatto Noodle Supa Highchair. Let them fall in love with the characters that are painted across the seat, and make mealtime even more fun! What are the specifications of the Cosatto Noodle Supa Highchair? Is there a Manufacturers Warranty that comes with the Cosatto Noodle Supa Highchair? Cosatto offer a 4 year manufacturers warranty, however you must register your product within 28 days of purchase. This applies to UK and Ireland only. Is there a review for the Cosatto Noodle Supa Highchair? Showing our 2 Cosatto Noodle Supa Highchair reviews with an average rating of Excellent. Would you like to write a review? Your Review - Good Stuff! No complaints, doe's exactly what it says on the tin. We love how it fits at our dining table and our kitchen counter top, so our little man is always involved in dinner times. It pretty much folds in half so can be stored away really neatly, and everything can be wiped down cleaned easily.